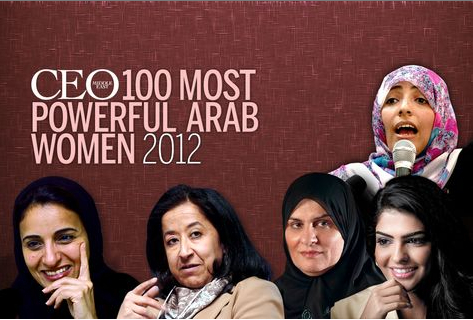 Power normally is not a word associated with women in Muslim societies. Despite the complex and varied identities of women in countries that are predominantly Muslim, we all remain prisoners of a blanketing stereotype that insists on labeling us as passive, voiceless beings, victim to our men, our religion, or both. Recently, I was talking to a friend about how ridiculous it is to be asked, as I often am, to speak for women across the Muslim world just because I happen to be a Muslim woman. Our conversation soon turned to the iconic Egyptian feminist, Huda Shaarawi, who is credited with sparking the Egyptian feminist movement in 1923 when she famously removed her veil at a Cairo train station. I became depressed and began to neglect my studies, hating being a girl because it kept me from the education I sought. Later, being a female became a barrier between me and the freedom for which I yearned. At age 13, Huda was married off to her cousin who surprisingly ended up being one of her strongest allies. Their marriage was “mutually beneficial,” allowing Huda to complete her education, and become a key advisor to her politician husband who actively supported her career. 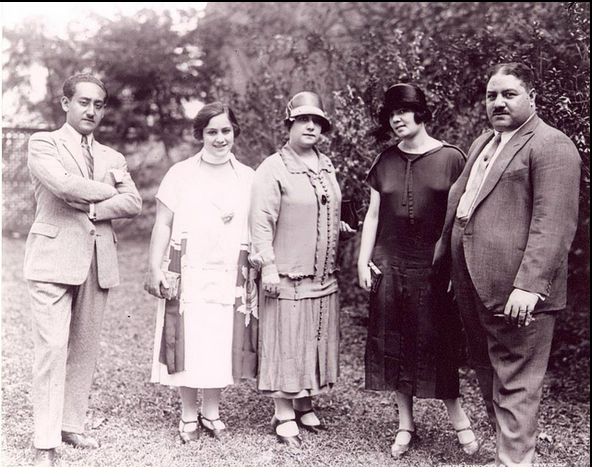 In 1908, Huda created the first Egyptian Philanthropic Society for Egyptian women, and soon after established a school for girls. Her passion and activism for women’s rights grew alongside her political fervor, and she was strongly involved in Egypt’s fight against British colonialism. 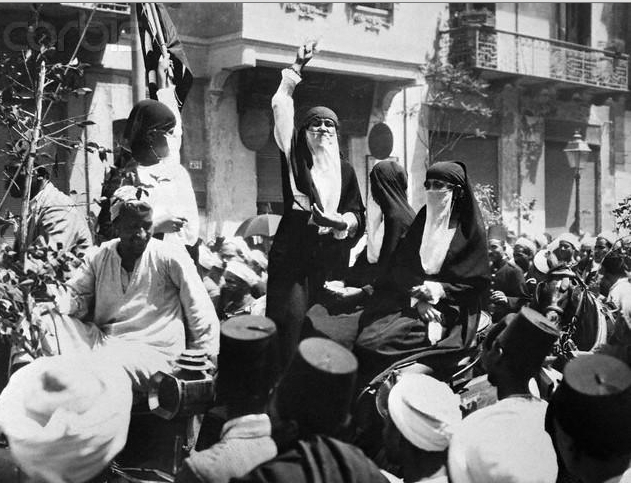 A decade later in 1919, Huda organized one of the largest anti-British demonstrations, bringing out Egyptian women to the streets to protest British presence in Egypt. Huda founded the Egyptian Feminist Union, the organization behind l’Egyptienne, the first Egyptian feminist publication. This conversation with my friend made me think about the long history women in Muslim countries have not only in fighting for their rights, but also in establishing them. This history is rarely recognized, and often dismissed when Muslim women are lumped together, labeled as veiled passive beings. The recent Arab Spring in the region temporarily shattered stereotypes of political and social apathy as women from Iran to Saudi Arabia to Egypt stood on the front-lines of their country’s political protests, shaping their nation’s revolutions, reminding the world that without women’s rights, no country can become a real democracy. But as Huda Shaarawi’s life clearly demonstrates, women in the Muslim world have been fighting for their rights long before the Arab Spring, and this struggle is far from over. In fact, if you think about it, women all around the world are still fighting for their rights, still pushing for equality because nowhere have we actually achieved it, not even in America where the fight for abortion rights, equal pay, paid maternity leave, and equal rights for women continue. If you needed reminding of that fact, look up Texas Senator, Wendy Davis’ filibuster fight this week. What can we learn from pioneering feminist Huda Shaarawi’s life? While sadly women and girls around the world are still trying to attain many of the rights that Huda fought for in her lifetime, what I find inspiring is that there has always been a resistance, even when societies kept women trapped inside harem walls. Women still managed to get out, organize and educate themselves, creating spaces for themselves in public spheres. Today, forces still exist that aim to curtail women’s health and women’s rights, while limiting our movement and visibility. But women, in the Muslim world and beyond, are not giving up their rights to anybody. 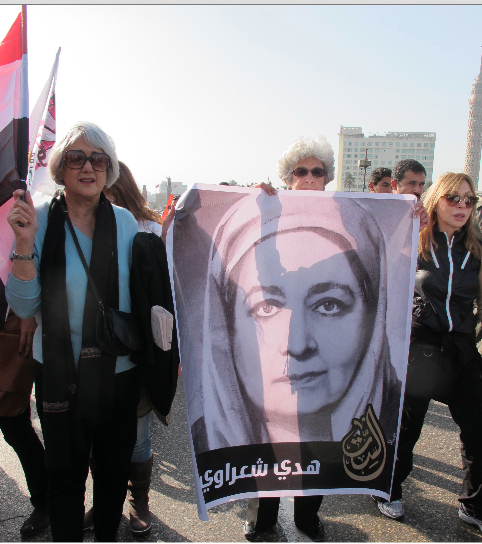 Not without a hard-earned fight that would do pioneering feminist, Huda Shaarawi proud. *This post of mine was also published in Forbes Woman.